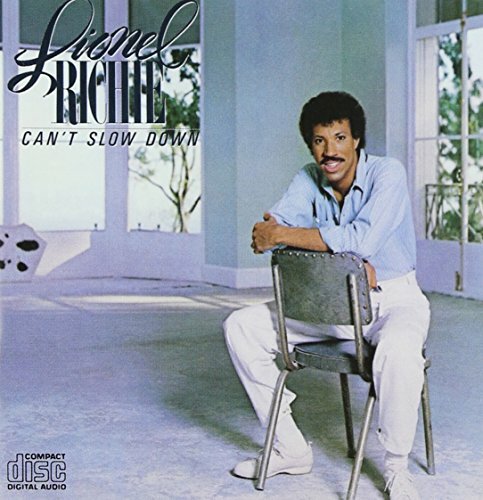 Can’t Slow Down is the second solo album by American recording artist Lionel Richie. It was released on October 11, 1983, by Motown Records. The album reached #1 on the Billboard album chart. It also spent 59 consecutive weeks inside the Top 10 (including the entire year of 1984) and a total of 160 weeks (over three years) on the Billboard 200. After being the third best-selling album of 1984, it went on to win a Grammy Award for Album of the Year in 1985 and by 1986 the album had sold 15 million copies, eventually selling over 20 million. 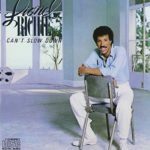 Can’t Slow Down achieved the feat of having every single released hit the top ten on the Billboard Hot 100 chart. Two songs, “Hello” and “All Night Long (All Night)”, both went to #1. Other hits include “Stuck on You” (US #3), “Running With the Night” (US #7), and “Penny Lover” (US #8). The ballad “The Only One” was a significant song from the album which was never released as a single, yet remains a popular staple of Richie’s live performances. Published By – Foster Frees Music, Inc. Published By – Dyad Music Ltd.